Plantation shutters Bicester by Just Shutters. 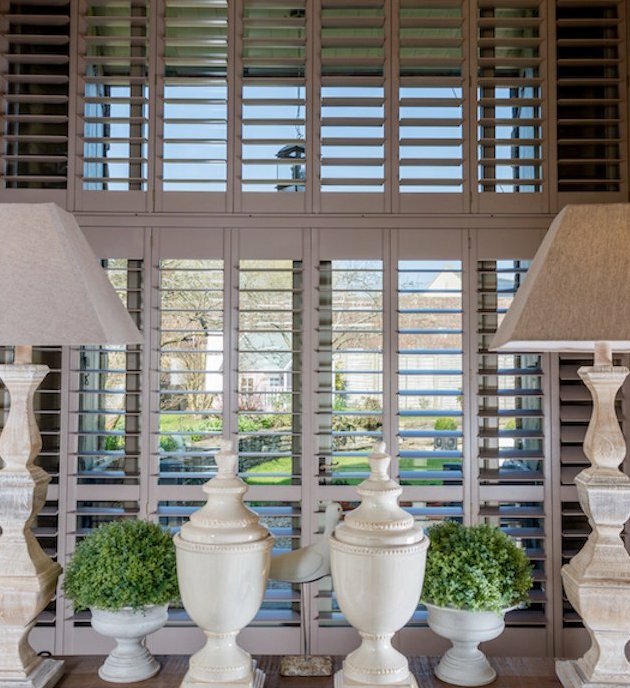 We are the Oxfordshire’s premier company providing stunning interior shutters in Bicester and the surrounding areas. 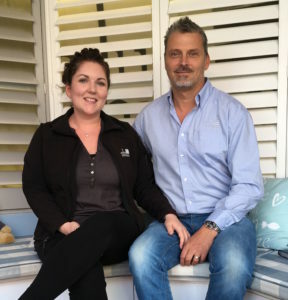 Just Shutters local experts; husband and wife duo Charlotte and James Chenery, are proud to offer residents of Bicester the finest service, quality and choice of interior shutters; including our exclusive ranges. You will be delighted at our exceptional service, eye for detail and of course our beautiful shutters – complete with our lifetime guarantee! So, for the very best in plantation shutters, call us on 01235 424282. Alternatively, follow the links to download a brochure or book a home design visit. The beautiful market town of Bicester is such a wonderful place to live! So much so it is one of the fastest growing towns in the region. With homes from the historic to the brand new, Just Shutters have the expert knowledge and finest range of shutters to suit any home. From the sympathetic and elegant, to the bold and bright, we have the solution for your property and your style! Above and beyond the classic design statement and ambience shutters bring to a room, their beauty isn’t just ‘skin-deep’! The added benefits of shutters make them a perfect lifestyle product you will simply love to live with. Shutters are a very practical, hardwearing, low maintenance product. And a perfect solution for any window or door! Even those unusual features that traditional curtains or blinds simply could not cover. And as for bay windows – these cry out for our stunning shutters. Whatever your window; whether shaped, angled or arched, a bathroom or kitchen with high humidity, or even a whole conservatory; shutters provide the perfect solution. This isn’t to say those more standard windows cannot be enhanced into a superb design feature! Just the reverse; even an average window can become a work of art with our shutters. Shutters have been the window covering of choice with interior designers and style magazines. The luxury features of shutters have lead many to believe they are unaffordable. However, contrary to this belief, many are surprised at the affordability of shutters and the value they provide for years to come. Shutters often enhance the value of a house as they are a fixture that stays with your home. They also greatly improve curb appeal. Additionally, shutters provide an extra layer of insulation on your windows which can reduce your heating bills. Shutters also require no laundering. They do not warp or bleach with sunshine or suffer overall weathering. And what’s more, they come with our Just Shutters lifetime guarantee. Providing long term value that lasts! Just Shutters are the most reviewed specialist shutter company of our kind, with ratings of 9.9 on Checkatrade. We always strive to ensure that every customer is treated with the upmost respect. Furthermore every house treated like a castle! Each of our customers enjoy the best customer service from start to finish. We would be delighted to speak to you in person on 01235 424282. Alternatively, you can follow the links below and find our brochure or book a home design visit. Please see below for a small selection of testimonials taken directly from checkatrade. With over 1500 reviews, here is just a taste of what our customers say. Construction and installation of shutters. Survey, supply and installation of plantation shutters. Shutters fitted to two bedrooms. Love my shutters, 2 shutters fitted very well done.